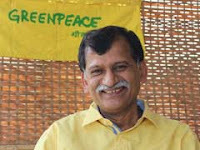 Chellam, who took over as executive director of Greenpeace India following the controversial Government of India decision to withdraw its foreign donations permit in September last year, reportedly said, “The one big conservation action that has not been taken so far is to comply with the Supreme Court judgment regarding the translocation of lions”. For years, the Gujarat government has made it a “prestige issue” in the Supreme Court, refusing to allow any translocation of the big cat to Madhya Pradesh, as contemplated by wildlife experts. It has argued how increase in its population means the lions are “comfortable” and “safe” in their existing environment. “The challenge is not just about developing new habitats for the lions complete with prey base and water points, which itself is a Herculean task, but also about managing the near impossible man-animal conflict which is already happening”, he declares. Ironical though it may seem, those upholding the cause of the Gir lion as Gujarat's pride want villagers to kill the wild cat in “self-defence” – thus providing enough ammunition to those wishing to shift the Asiatic lion to Madhya Pradesh. Ex-Gujarat agriculture minister Dileep Sanghani, known for his closeness to Prime Minister Narendra Modi, asked the state government to provide arms to farmers residing on the periphery of the Gir lion sanctuary and allow them to kill lions in self-defence. This was preceded by dissident BJP legislator and Patidar agitation leader Nalin Kotadia delcaring against the proposed eco-sensitive zone in villages around Gir forest, advising villagers to kill lions – leading to angry BJP cadre reaction wanting to “uphold” the Gujarati pride, Asiatic lion. Following three more killings, between May 21 and 23, Gujarat forest officials “caged” 16 lions, who allegedly turned carnivorous. Yet, the attacks have not stopped. On May 28, a 30-year-old man was attacked and was rushed to hospital. Thanks to a sharp increase in its numbers to 523 in 2015 from 411 in 2010, the Asiatic lion has expanded its fiefdom to a staggering 22,000 sq-km across eight of the nine districts in the sprawling Saurashtra region, as against the total area of 1,412 sq km of Gir Sanctuary, known as the Asiatic lion's only abode. Of the 1,412 sq km, 258 km forms the core National Park, a no-man territory where only wildlife can reside. The 2015 census found just 22 lions in the “fully protected” Gir National Park – a detail which the Gujarat government has still not officially declared. The actual carrying capacity of the Gir National Park is 60 (click HERE). The lion census also found that there was a very little rise in the number of Gir lions in the forest area (Sanctuary plus National Park) – from 297 in 2010 to 302 in 2015. It suggests, approximately 220 lions are prowling outside the forest area. The Gir forest's actual carrying capacity, ironically, is just around 250, which means more lions are now prowling outside its designated area! It is better to translocate them not by killing them. Lions were all over the north west not just gujarat so regrowing the past habitats nd locating them their shouldnt have any problem. So simply translocate themm! !